Committed to providing reliable, efficient and commercially viable port services and facilities for our customers. We strive to satisfy our customers' expectations by providing value-for-money services, efficiently and promptly. Containers and break-bulk cargoes such as motor vehicles and scrap metal are handled in the Fremantle Inner Harbour. Fremantle Ports & Kwinana Bulk Terminal and Kwinana Bulk Jetty facilities in the Outer Harbour cater for bulk trades. Fremantle Ports works to continually improve port services, with promotion of enhanced efficiency. We work closely with port customers, importers and exporters to ensure that the Port of Fremantle continues to be on of Australia & most reliable and efficient ports. Fremantle Ports applies a range of rates and charges to the variety of services it offers for customers, businesses and organisations. Fremantle Ports is responsible for 220 hectares of land and 383 square kilometres of water. Fremantle Inner Harbour land includes Victoria Quay, North Quay and the Rous Head Industrial Park. Outer Harbour land holdings include the Kwinana Bulk Terminal and land adjacent to the Kwinana Bulk Jetty. A significant proportion of port land is leased to parties involved in port operations. To inquire about property leasing and development, contact Fremantle Ports’ Property Branch. Annual trade figures for container, break-bulk and bulk. Fremantle Ports trade statistics for 2017-18. 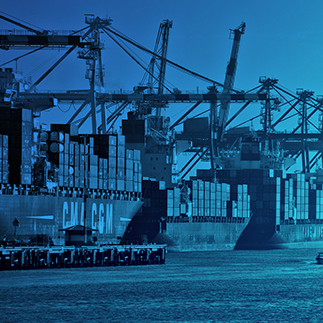 Fremantle Ports monthly container traffic reports, available for download. Fremantle Ports operates a 24-hour port and is responsible for providing a range of reliable and competitive maritime-related services and facilities.